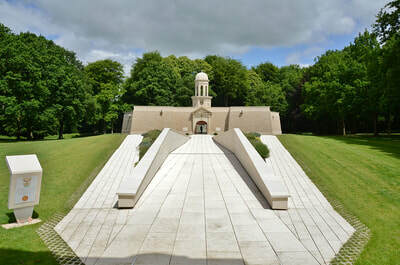 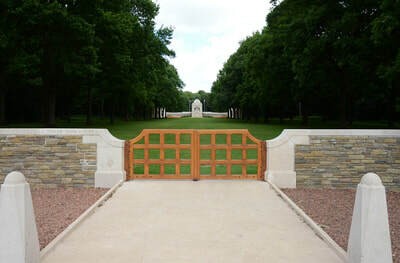 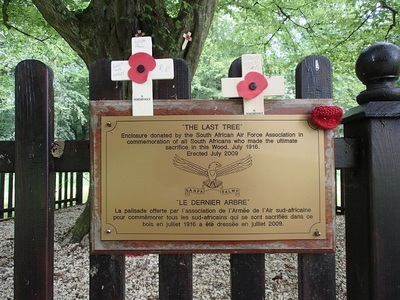 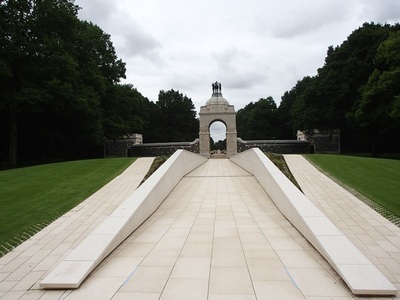 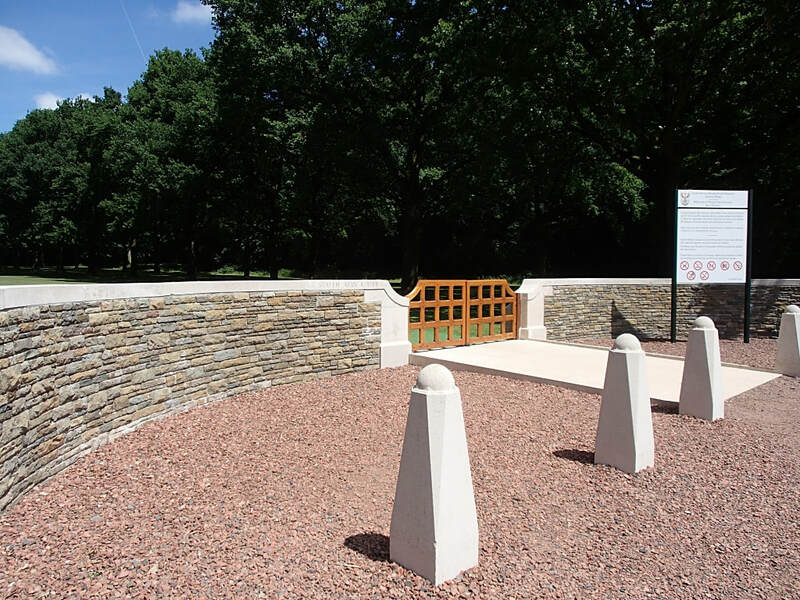 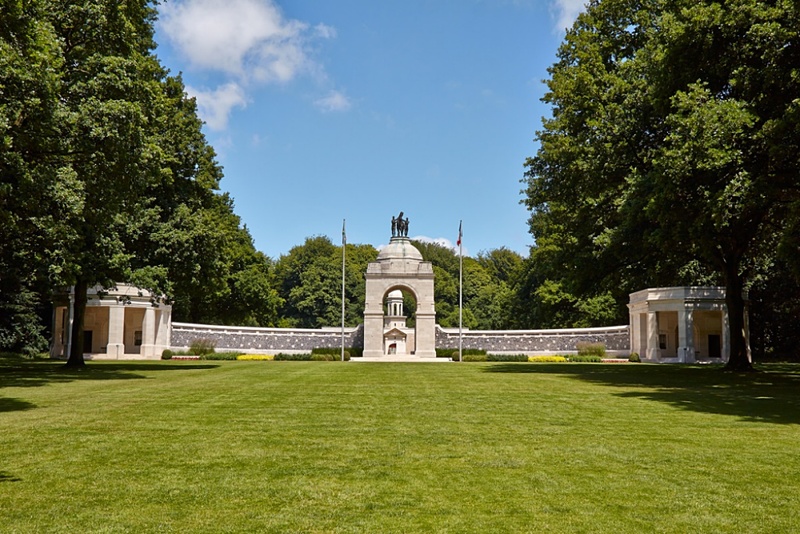 The central avenue of Delville Wood Cemetery is continued across the Longueval-Ginchy road by a grass road, in a wide clearing, running Northward into Delville Wood; and across the clearing, at the top of a low rise, is the South African (Delville Wood) Memorial. This is a National Memorial to all South Africans of all theatres of war. 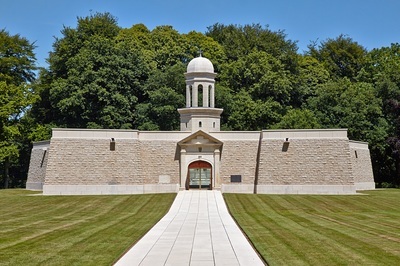 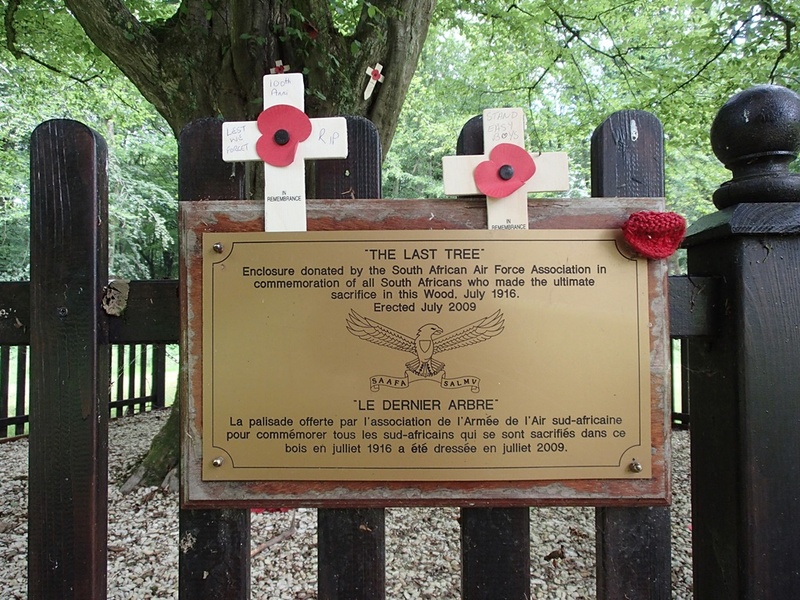 It is included in the database and mentioned in records of the Commonwealth War Graves Commission by virtue of it being the only dedicated Memorial to South Africa's commitment on the Western Front. However, the names of their Missing are not inscribed on its walls. 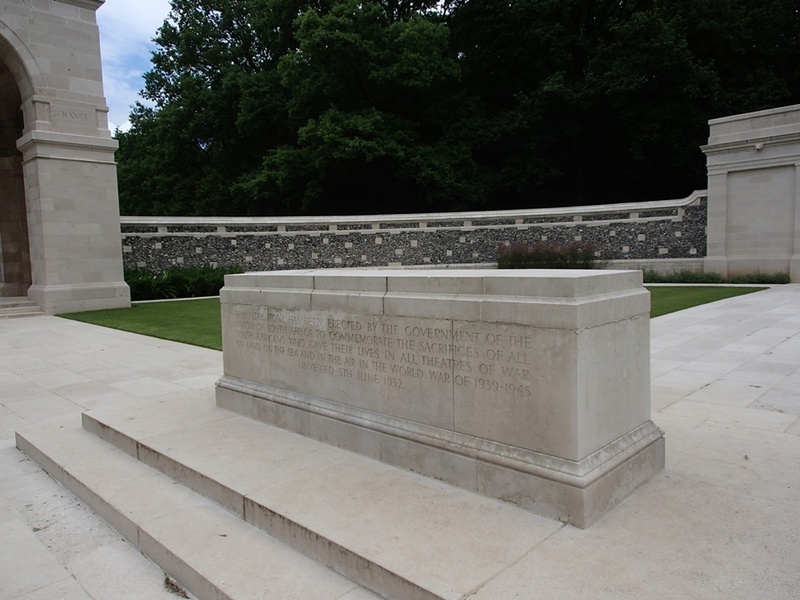 They appear on Commonwealth memorials alongside the Missing of the United Kingdom forces. 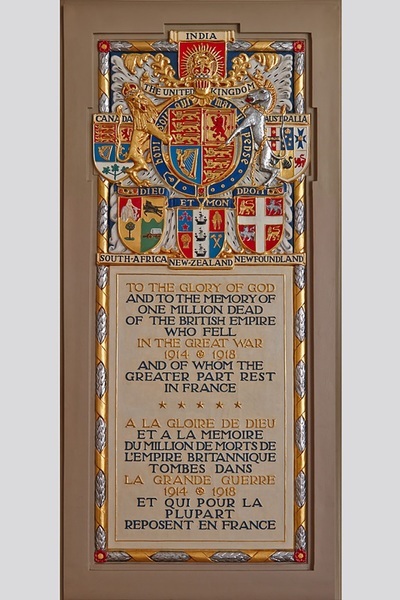 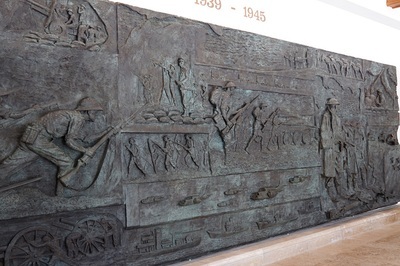 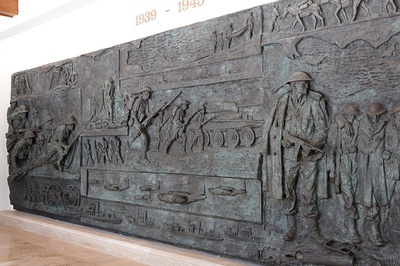 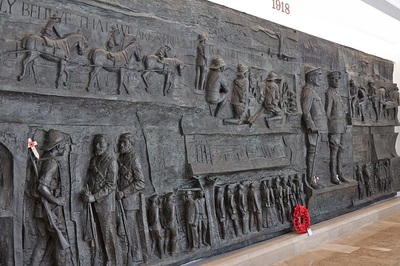 Other Commonwealth nations have a dedicated National Memorial to their Missing of the Great War on the Western Front; the Neuve-Chapelle Memorial to the forces of India, the Vimy Memorial to the forces of Canada and the Beaumont Hamel Memorial to the forces of Newfoundland, the Villers-Brettonneux Memorial to the forces of Australia, the Messines Ridge Memorial to the forces of New Zealand; one of seven Memorials on the Western Front dedicated to New Zealanders. 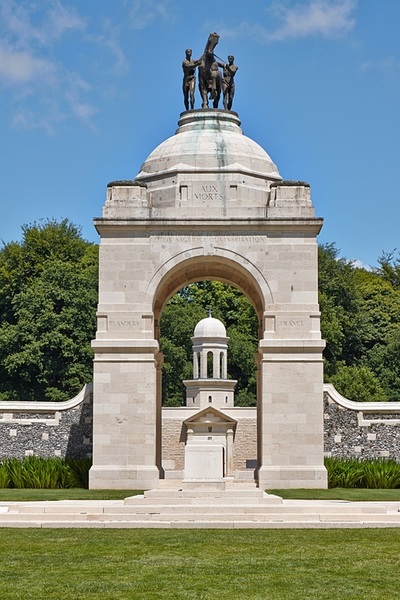 The Memorial is a flint and stone screen, with a shelter at each end and in the middle an arch, surmounted by figures of a horse and two men (representing the two races of the Union) in bronze. 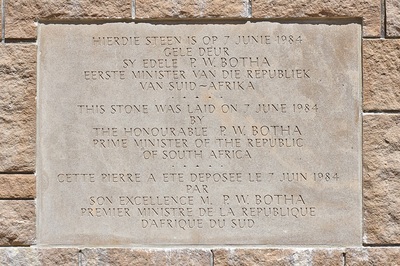 It was unveiled by the widow of General Louis Botha on the 10th October 1926. It is fitting here to refer to the outstanding facts which this Memorial recalls: to the conquest of German South-West Africa in six months by South African troops; to the conquest of German East Africa by a South African Commander at the head of an Army mainly South African; and to the great record of the South African Brigade in France and Flanders. 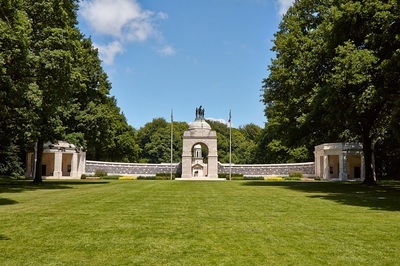 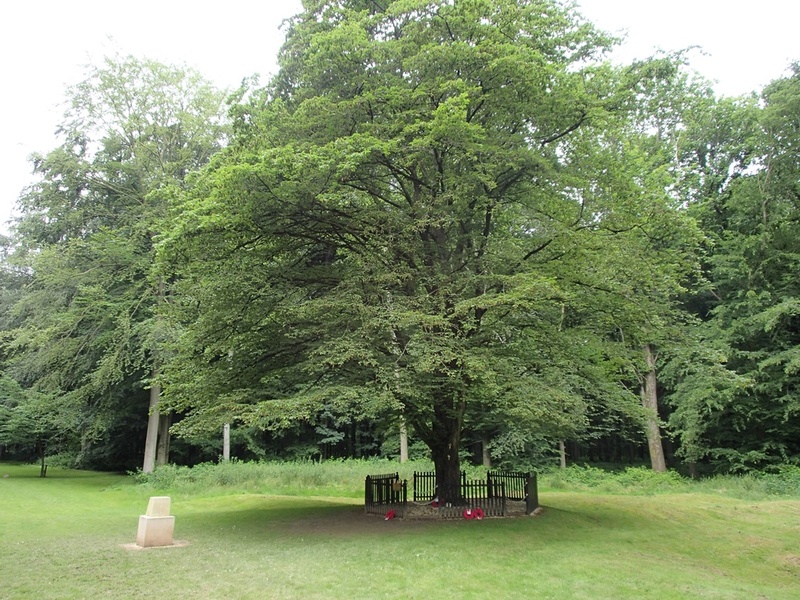 In Delville Wood the three Battalions employed in the capture and defence of the Wood were all but completely destroyed. 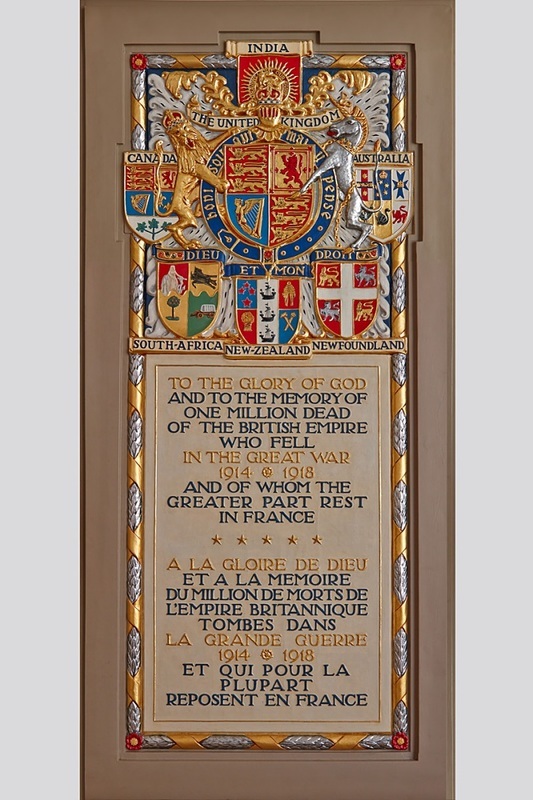 At Arras and at Passchendaele, in April and September, 1917, they successfully overran the enemy defences. From Gauche Wood and Marrieres Wood, in March, 1918, some 400 transport men and details came back, and the German tribute to the rearguard fighting of the 9th Division is well known. 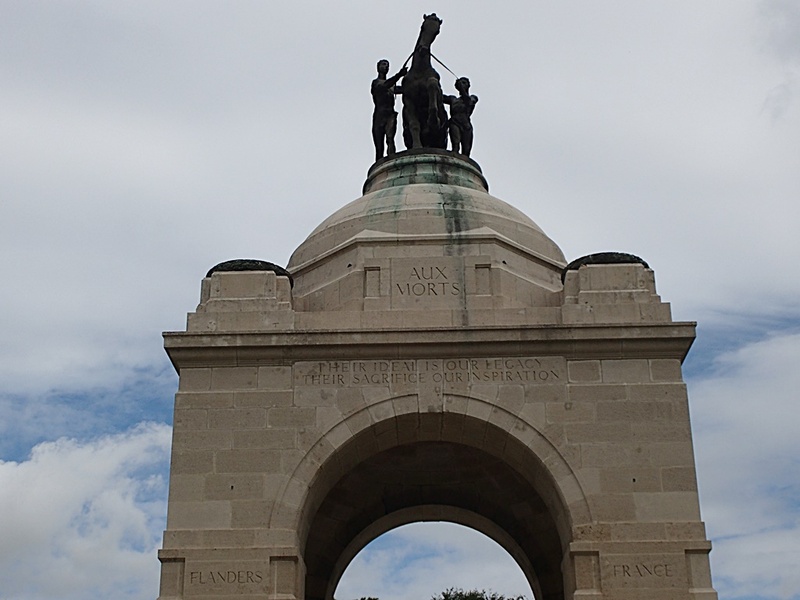 On Messines Ridge, in the following month, they stopped the enemy advance by counter-attacking and held the position until the reserves had come up. At Beaurevoir and Le Cateau, in October, 1918, they successfully dislodged the enemy from positions in which he was strongly posted; and on the 11th November, 1918 they were furthest East of all the British troops in France (ref Buchan: The South African Forces in France, page 256). 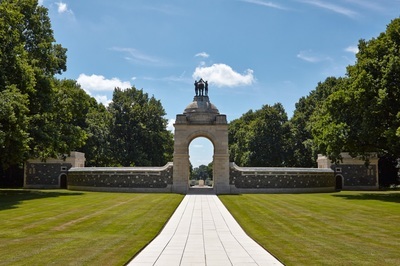 During the Great War, the Union sent out on service 229,000 Officers and men. 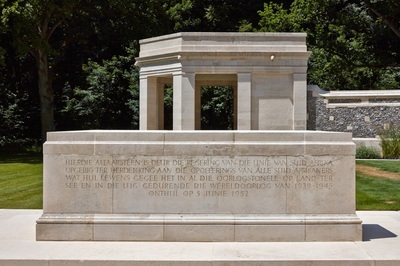 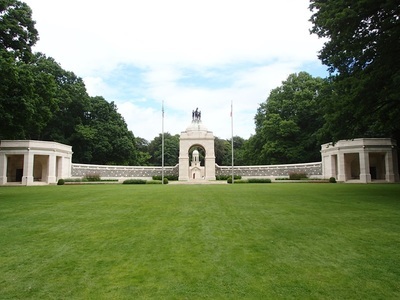 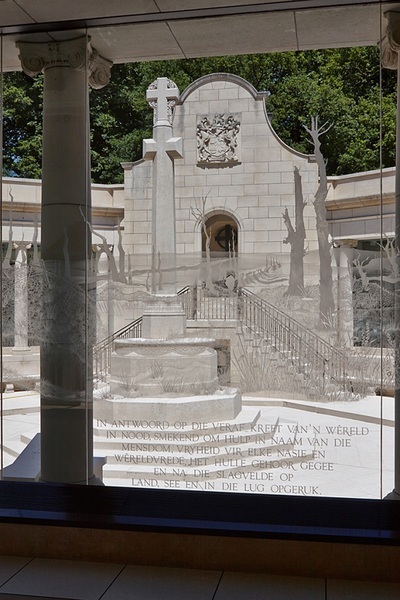 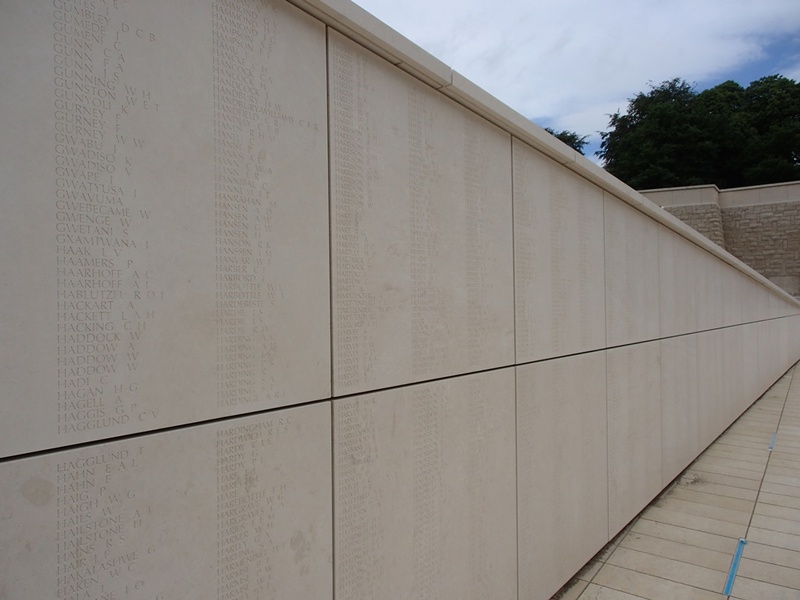 Of these, some 10,000 were killed in action or died of wounds or sickness; and their names are written in a book kept at the Delville Wood Memorial, on the site where their first great sacrifice was made.